« “Forgotten Hollywood”- Rounding Up the Usual Suspects! Join your fellow enthusiasts at a special reception in the garden at John Wayne’s birthplace. 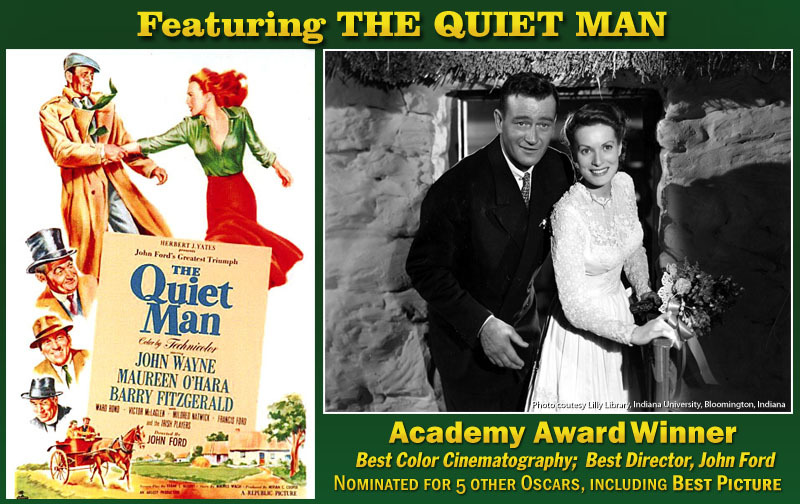 You can meet playwright Frank Mahon, who created the stage adaptation of Maurice Walsh’s The Quiet Man on which the film was based. 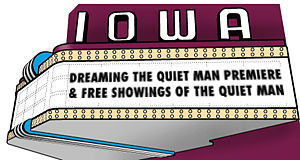 Mahon and former Chicago Tribune columnist Brian Downes will offer their thoughts over the enduring allure of The Quiet Man in a panel discussion. On Saturday, May 26th, a Benefit Dinner and auction will take place to raise funds for the new John Wayne Museum and Learning Center. Plans are in development for construction of an 9,000 square foot Museum and Learning Center adjacent to John Wayne’s birthplace. This new interactive facility will provide an exciting experience for the whole family. Character was and is the defining quality of John Wayne. The new John Wayne Learning Center will develop programs and opportunities to teach the values of citizenship, respect, trustworthiness, responsibility and caring. New generations will discover what other generations already know—the character quality of John Wayne. I hope former 2012 Presidential candidate, Michelle Bachmann, is taking notes as to the actual birthplace of Marion Robert Morrison… aka John Wayne! This entry was posted on Friday, March 9th, 2012 at 12:07 am	and is filed under Blog by Manny Pacheco. You can follow any comments to this post through the RSS 2.0 feed. Responses are currently closed, but you can trackback from your own site.